The CFSEI, along with our parent organization the Steel Framing Alliance, has developed a number of seminars that assist engineers with improving their knowledge and skills base. 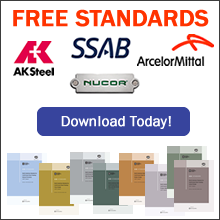 Our goal is to bring you state-of-the-art information about steel-framing design and construction, from experts who are helping to shape its techniques and practices. The seminars are conducted in partnership with the CFSEI Council Chapters and Steel Framing Alliance local alliances around the country. Additionally, we partner with structural engineers associations nationwide to meet the growing demand of instruction in cold-formed steel application and design. Formats for the programs range from one-hour sessions to multi-hour and full day presentations. The Steel Framing Alliance is a registered provider for the American Institute of Architects, AIA/CES Program. Please check the calendar for additional information and upcoming seminars. To schedule a seminar click here to e-mail request.